Textual Criticism – King James Only? Today’s book review post is special for two reasons. First, this marks the 150th book review I’ve posted here at Fundamentally Reformed. Second, this review includes the foreword I was privileged to write for this book. The Doctrine of Scripture: As It Relates to the Transmission and Preservation of the Text by Jason Harris is published by InFocus Ministries in Australia. I’m excited to recommend this new book to my readers here in the United States as I believe this book can go a long way toward helping those confused or entangled by King James Onlyism. Another book on the King James Only debate? Much ink has been spilled and many passions expended in what may be the ugliest intramural debate plaguing conservative, Bible-believing churches today. Fundamentalists and Evangelicals, Baptists and Presbyterians, Reformed and charismatic — all have been affected to a greater or lesser extent by those arguing for or against the King James or New King James Versions of the Bible. With each new book it seems the debate becomes more and more caustic, each group castigating the other in ever more forceful terminology. Harris wants us to be confident that we do have the inspired Scripture translated accurately in our English Bibles. He wants such confidence to be rooted to a Scriptural understanding of the Doctrine of Scripture rather than in the “supernatural-guidance” of a group of sixteenth-Century translators. Assuming that such a group of men made no mistakes is to expect something Scripture doesn’t teach, and ignore what it does. Harris is to be commended for such a clear, lucid defense of the historic doctrine of Scripture. I hope his book is received well and helps laymen and pastors everywhere to begin to rethink the basis for why they think as they do when it comes to the King James Only debate. First, his book focuses on the alleged doctrine of the verbal, plenary accessibility of Scripture. This is where the root of the KJV and TR preference lies for many people. The argument is not so much based on texts and manuscripts as it is on what allegedly the Bible teaches – that the very words of Scripture (all of them down to the letters) would be generally accessible to believers down through the ages. 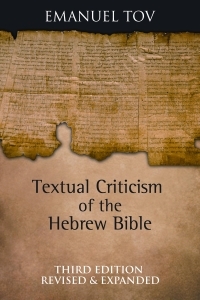 Harris spends most of his time marshalling a Scriptural rebuttal to these claims and also demonstrates the difficulties such a position has when it comes to the history of the text as we know it. Second, this volume carefully builds a theology of the transmission and preservation of Scripture. Such a careful, exegetically-based explication of the doctrine of Scripture has been lacking in this debate. And such a gap has often been used by KJV-only proponents to their advantage. It is KJV-only books which start with a Scriptural position and then look at the evidence, with the “anti-KJV” books starting with history and evidence and then moving to the Scriptural arguments. This book is different and starts where the debate starts for most of the sincere beleivers who get swept up into it — it starts on Scripture’s teaching about the very nature and preservation of Scripture. You can pick up a copy of The Doctrine of Scripture at Amazon.com. Disclaimer: This book was provided by the author. I was under no obligation to offer a favorable review. ~ cross posted from FundamentallyReformed.com, the author’s other blog. Well, Dr. Wallace was recently interviewed by Hugh Hewitt on his radio show about the discovery and gave additional details. 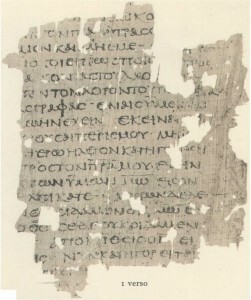 We now know the MSS contains part of one papyrus leaf, written on both sides. From the sound of it, it is most of one leaf so several verses but not much more. It was also found in Egypt — all seven of these MSS finds were found there. Dr. Wallace will also be on of the authors of the book that will publish all seven papyri fragments in early 2013. HH: Wow. Now in terms of, for the lay audience, Professor Daniel Wallace, the significance of this work when it appears, how would you grade it, with an A being a Dead Sea Scroll sort of significance, and you know, flunking, it just doesn’t matter? DW: I would grade it at least an A, maybe an A+. HH: And will the rest of the scholarly world agree with you on that assessment, do you think? DW: I think that when they understand the ramifications of the entire nature of this manuscript that I’m not at liberty to mention, yes. They’re going to understand. At least those that will accept that date. Since the manuscript doesn’t have a date stamp on it, it says it was done this year, there are always going to be dissenters. But to do the work of paleography takes thousands and thousands of hours of research to do one. I’m not sure the discovery will prove to be the equal of the Dead Sea Scrolls, but I’m cautiously optimistic that it will prove to be very consequential. I also got an update from Matthew Hamilton who I quoted in my earlier post on this. From his information and that of Wallace from this interview, the following looks to be the list of the 7 manuscripts. Many of these would be the earliest textual witness we have of that Biblical book, if the dates hold true. For more details read the entire transcript of the Hewitt – Wallace interview, and keep an eye on the Evangelical Textual Criticism blog. ~cross posted from my personal blog, FundamentallyReformed.com.